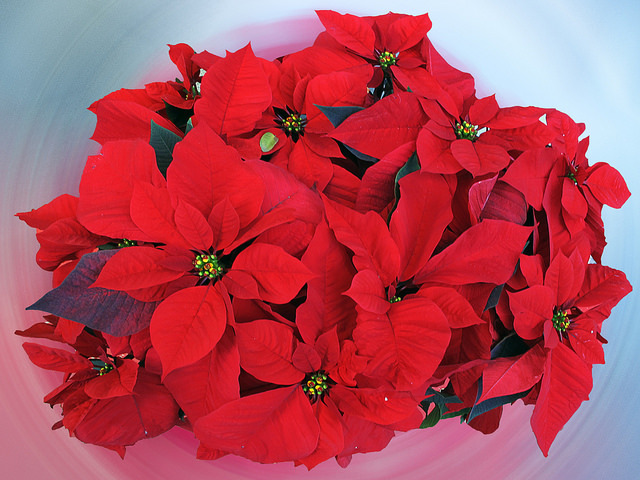 A cold winter month full of warm holiday memories, December would not be complete without a symbolic Poinsettia plant. This vibrant flower, with brilliant red and green star-shaped leaves, is not only a fitting tribute to joyful winter holidays. It is also the December birth flower. The beacon of love and joy, the Poinsettia will fill the home of those born in December with cheery vibes and promise a blessed year ahead. The scientific name for the Poinsettia is “Euphorbia pulcherrima,” which means “very beautiful.” Do your nearest and dearest born in December deserve a “very beautiful” birthday flower gift? Then the Poinsettia is just the right flower for them! The Poinsettia’s history stretches back to Aztec times when the plant represented new life and purity, and played an important role in religious ceremonies. The Poinsettia became known as a Christmas flower during the colonial period. Its shape reminded people of the Star of David. Its leaves, according to a legend, turned vibrant red around Christmas time when a little girl from a poor family placed the weeds on a church altar. Around that time Mexicans started decorating churches and houses for the Christmas season with the Poinsettia and it eventually became the main emblem of the holiday. The “Mexican Fire Plant” first arrived in the United States in the early 19th century thanks to an amateur botanist and the first U.S. ambassador to Mexico, Joel Poinsett, the namesake of the December birth flower. An outlandish plant with beautiful scarlet leaves growing on the side of the road in Taxco, Mexico caught Poinsett’s attention and he took it back home to South Carolina. One of the few plants that naturally bloom it winter, the world quickly embraced the Poinsettia as popular Christmas symbol. The Aztecs believed the poinsettia was a symbol of purity. In today’s flower language though, red, white or pink poinsettias convey good cheer, loyalty, and respect. They convey joyful wishes and a celebratory spirit to the recipient. Such positive symbolism makes the plant a wonderful personal and business gift for both friends and relatives, colleagues and clients. As a December birth flower, Poinsettias represent happiness, generosity and humor, perfectly matching the personality of those born on this winter month. 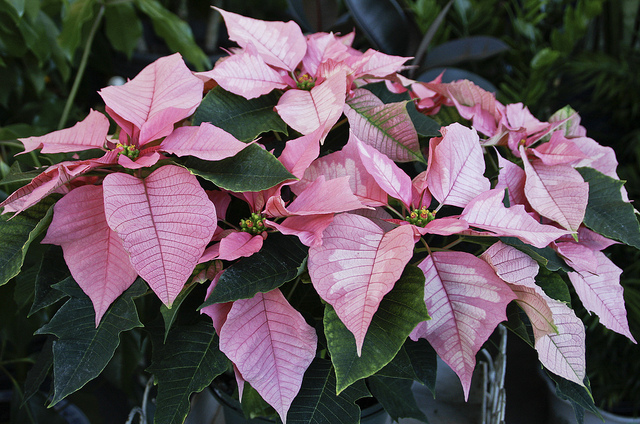 This charismatic potted plant is a wonderful choice for December birthdays. It is always a welcome gift that can be either presented on its own or given together with chocolate, gourmet treats or a gift basket of your choice. The Aztecs used Poinsettia leaves to dye fabric to make clothes. Its juice treated treating fevers and other medical issues. Technically, it’s the leaves not the flowers that made Poinsettia famous. The scarlet parts of the plant are actually leaves, not flowers. They change color when the plant forms its actual flowers: the little yellow buds in the center. If you want your Poinsettia to last, pay attention to the yellow buds in the center. The more there are (preferably not yet open), the longer it will bring joy to your home. Although red is the most popular color, there are varieties of poinsettia that are yellow, orange, cream, and even white. There are also less common marbled varieties with several colors blended together. Florists introduce new varieties each year. 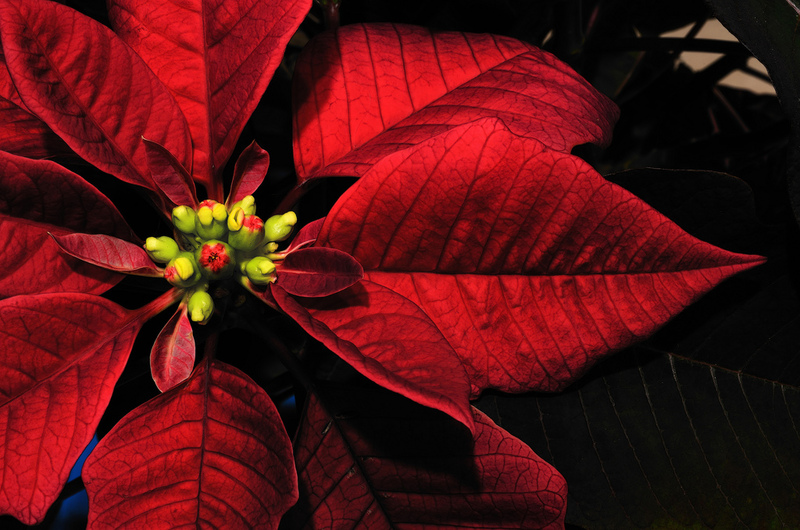 Interestingly, the color of Poinsettia depends on the amount of light it gets during the day. The more sunlight, the brighter and more vibrant the color will be. For red leaves, for instance, the plant needs a lot of bright light during daytime and complete darkness at night. The plants with white leaves on the other hand don’t require much daylight. Did you know that Poinsettias are one of the best-selling potted plants in the US with over 30 million of them sold each year? Contrary to a popular belief, poinsettias are not poisonous. Technically they are, but to experience any serious side effects, you would have to eat over 500 leaves at a time, and those are very bitter. Although not many will try to attempt doing that, it’s best to keep poinsettias away from children, pets and those with latex intolerance (plant’s sap contains latex which can cause irritation). In the wild of tropical climates, elegant poinsettias transforms into monster trees that can reach over 12 feet high with leaves measuring six to eight inches across. National Poinsettia Day is December 12. It’s also the day Joel Poinsett died in 1851. Tanzanite, zircon and turquoise are the three beautiful December birthstones that will match the true blue desires of your recipient. Affordable, yet incredibly attractive these stunning stones in all shades of blue rivals in beauty even some of the precious gems. Help your dear recipient fight the winter blues by choosing a precious birthday gift that will match your budget and their personality like no other. The oldest gem on earth, Zircon brings prosperity, honor and wisdom to its owner. According to a legend, zircon has the power to relieve pain, protect travelers and keep away nightmares. Though available in a rainbow of beautiful earth shades, including red, green, yellow, and all the colors in between, a vivid sky blue is the most popular shade. It’s a universally flattering hue that even the pickiest recipients love. But whatever your December-born loved one’s favorite color is, you can probably find zircon jewelry to match it. Tanzanite is another pretty gem featured in December birthstone jewelry. This one-of-a-kind gemstone can only be found in one place on Earth: Mount Kilimanjaro in Tanzania. A remarkable velvety blue color with rich lavender undertones is another distinctive feature of this unique stone. Discovered in the late 60s, tanzanite quickly gained popularity not only because of the striking assortment of rare blue hues, but also due to the variety of shapes and sizes. Between its exotic color and limited supply, many people treasure tanzanite around the world – whether they were born in December or not. While tanzanite is one of the newest, Turquoise is one of the oldest gems. This December birthstone has been prized for thousands of years and graced the necks of Egyptian Pharaohs, Aztec emperors and Victorian ladies. Since ancient times people have ascribed healing powers to turquoise. They believed that wearing this gemstone can ward off evil spirits, bring wealth and good luck. Like the other two December birthstones, turquoise comes in a variety of blue hues, from light blue to intense blue-green color. The name “turquoise” literally translates as the “stone from Turkey” referring to the fact that it was originally brought to Europe from this Middle Eastern country. If you need three words to describe Sagittarians it would be: attractive, smart, and strong. One of the most popular zodiac signs, they are good-natures, optimistic fellows that are nice to be around. They love surprises and are easy to please which makes them very grateful recipients who will be equally happy to receive a box of chocolate or luxurious gift basket. OK, maybe a gift basket will make their smile a little bigger, but it’s totally your call. When choosing a birthday gift for Sagittarius, aim for items that will reflect their positive personality. For this zodiac sign, try a bouquet of seasonal flowers or a vibrant edible arrangement. Or a gourmet basket full of tasty treats and a bottle of fine alcohol. Unlike happy-go-lucky Sagittarius, Capricorn is a serious zodiac sign. They are well-known for their pragmatism and ambitiousness. But nothing human is alien to them since they do appreciate a little indulgence every now and then. A wine gift basket or beer hamper will help them unwind and take it easy. While a spa gift will relax their body and help get rid of all the tension of everyday life. Very family-oriented, Capricorns appreciate a gift they can share with loved ones. Birthday cakes or chocolate gift baskets are perfect for anyone born in December. When it comes to flowers, potted plants like orchids or African violets are wonderful options for this caring zodiac sign. Everyone has a birthday flower and it is a great feeling to receive it. Birth flowers make every celebration even more memorable. They you’re willing to go that extra mile to make your recipient happy. Although perfect on their own, you can give birthday flowers with other gifts like wine, chocolates, , cakes and more. But no matter what gift you choose, remember it’s the thought that counts the most! 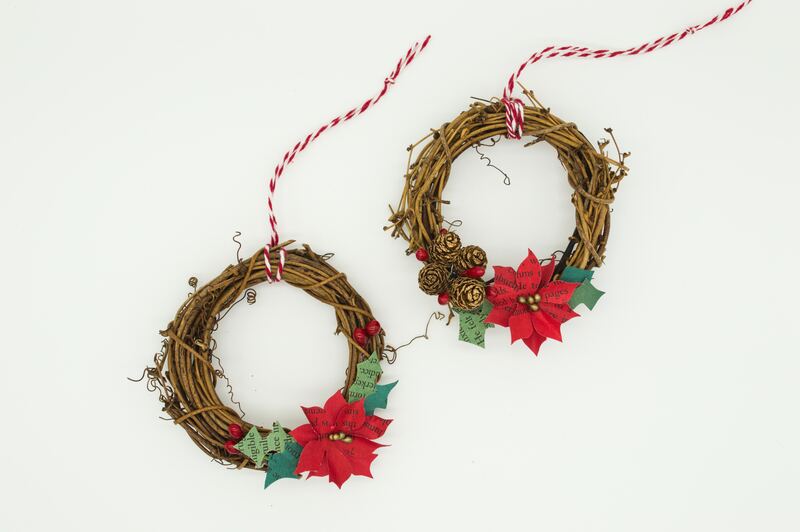 Ready to send December Birth Flower? – Browse our holiday catalog to find the right option for your budget.